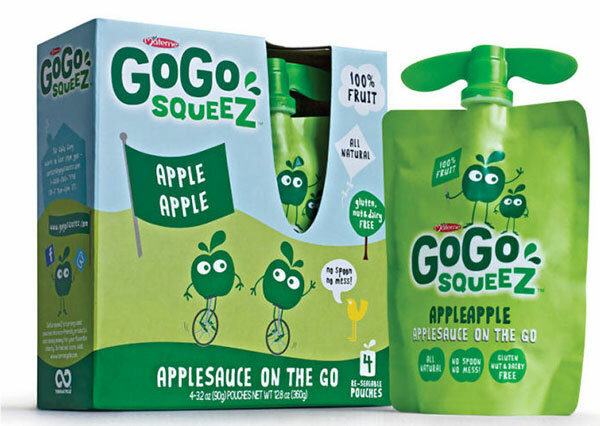 Tag Archive | "Materne North America Corp"
Materne North America Corp. (MNA) is voluntarily recalling specific packages of GoGo squeeZ® applesauce pouches due to potential adulteration from food product residue. The recalled applesauce pouches have a Best Before Date of 12/4/15-3/4/17 and a 5 digit production code beginning “US” followed by 01, 02, 03, 04, 05, 06, 07 or 08, which consumers can identify on the back of the pouch or on the bottom of the box, and “Product of USA” displayed under the Nutrition Facts Panel on the box. Any products labeled as organic are not impacted by the recall. No illnesses have been reported to date in connection with this issue. The food product residue was noted during a routine inspection by the Michigan State Department of Agriculture and Rural Development (MDARD), which revealed its presence in two product pumps at the Traverse City, Michigan production facility. It is possible the food product residue may have been incorporated into finished product. 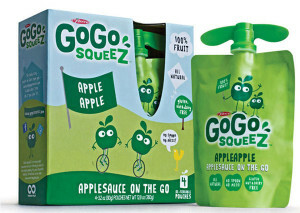 Consumers who have purchased GoGo squeeZ® applesauce pouches with Best Before Date of 12/4/15-3/4/17 please contact GoGo squeeZ® at 1-844-275-5841 or visit their website at www.gogosqueez.com to request a replacement voucher. Materne takes food safety matters very seriously. Out of an abundance of caution, the company is removing the specific pouches with affected codes. Materne is coordinatingwith MDARD and is implementing corrective steps to prevent future occurrences. Production of the product mentioned above has been suspended while MNA and MDARD officials continue their investigation as to the source of the problem. Please note this does not include organic products.